The QPER MIMO Tester is a handover tester einriched with phase shifter that helps engineers to make mobile networks fit for modern standards like LTE or HSPA+. Each radio path is equipped with a digitally controllable attenuator as well as a digitally controllable phase shifter. The latter allows to emulate the different signal transmission path lengths occuring in MIMO systems from 2×2 up to 4×4. The QPER virtual drive test concept also applies to the simulation of MIMO scenarios: While UEs are moved along drive test routes on a GPS referenced map within an simply created network layout, the QPER software calculates the channel coefficient matrix of all MIMO connections and sets the phase shifters accordingly. This provides testers with the opportunity to simulate dynamic handover scenarios considering antenna diversity, reflected by phase shifts in spatial diversity environment. 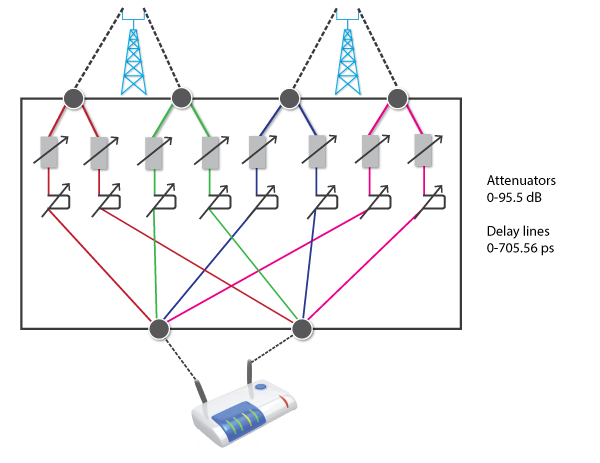 The phase differences between the MIMO paths are calculated considering antenna alignments. The GUI also displays the MIMO channel matrix. Thus, engineers can simulate in the test lab all kind of drive tests necessary to ensure MIMO and beamforming function in the mobile network. QPER MIMO-Tester supports all SISO and MIMO configurations and covers all LTE frequencies up to 6 GHz. 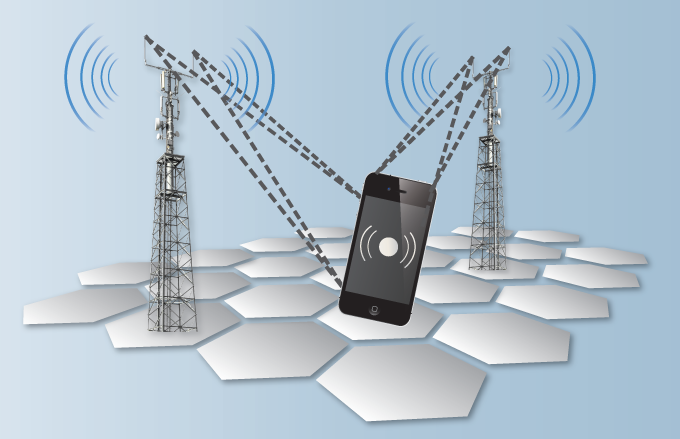 It therefore also supports the LTE-Advanced standard, which makes the MIMO tester future proof. For entire channel emulation the QPER Channel Emulator is available.